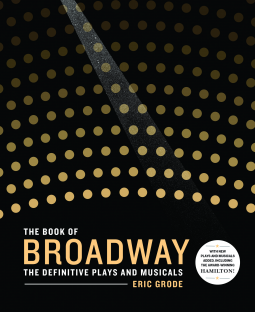 The Book of Broadway is a celebratory, gorgeous tome dedicated to what is arguably the quintessential American art form: the Broadway show. The Book of Broadway is a great read for any theatregoer. With lovely colour photographs, info, and opinions, it highlights some of the key musicals and plays to grace a Broadway stage. Naturally, there will be shows that readers wish Grode had included. On the whole, I liked his picks, which covered many of my personal favourites and several plays new to me; however, I do wish he'd mentioned Next to Normal, which I believe is an important work from the last ten years. Other than that tiny gripe, this is a great coffee table read that is sure to please any theatre fan.